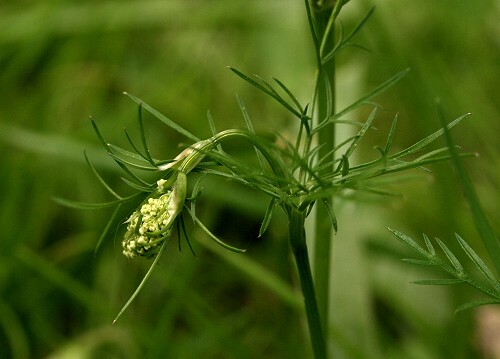 Pignut is a delicate-looking plant with clusters of small white flowers on branched heads. The leaves are narrow and deeply divided. As its name suggests it has a small brown, edible tuber at the base of the stem which was popular with foraging pigs in the past. 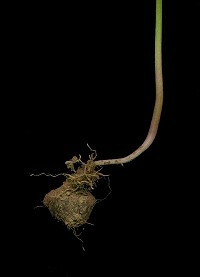 After peeling off the brown skin, the pignut can be eaten raw or cooked. 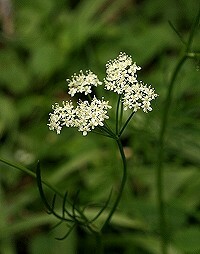 Pignut can be found in woodland, hedgerows and grassland.